It would take 35 years for the second colourway of the Copa Mundial to arrive. Since then things have escalated very quickly and Adidas are now ready with a grand total of 7 new colourways. Back in 1978 a legendary journey began. The Copa Mundial, which in Spanish means the World Championship, was created for the 1982 World Cup, which was hosted in  you probably guessed it  Spain. The boot did however not just die out after the World Cup in 1982. No, because the quality of the boot was  and still is  completely unique. The second colourway of the Copa Mundial took 35 years to arrive. Now you can secure your pair now. Order the Copa Mundial today and have it within 3-5 working days  just 166. In the first years of the boots lifespan it was famously worn by massive German names like Franz Beckenbauer and Paul Breitner, who really brought it onto the big scene. In hardly any time at all, the elegant black boot, with the iconic three stripes rose in popularity among footballers around the world. 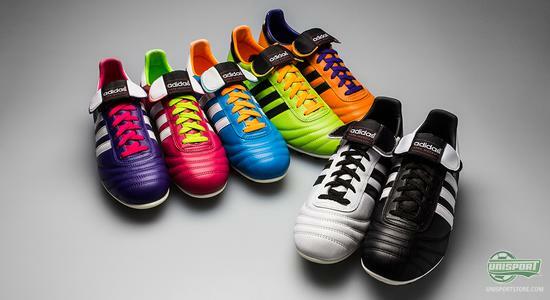 The Adidas Copa Mundial football boot was and still is so loved that Adidas see no reason to change that. A lively orange and black colourway of the Copa Mundial is perfect for the player, who wants to finish off games. Pre-order your pair today  just 180. 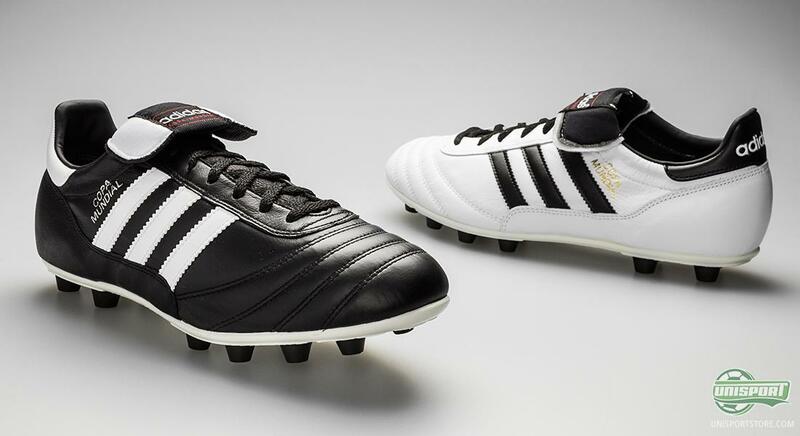 September last year, was the first time ever that a new Copa Mundial colourway was unveiled, when Adidas switched the colours and brought out a white and black Copa Mundial. This was always a bit of a safe play from Adidas, when the design on the white Copa Mundial is still relatively classic. The blue colourway is nicely accompanied by an orange accent colour, which really gives the boot life  pre-order your pair now, just 180. 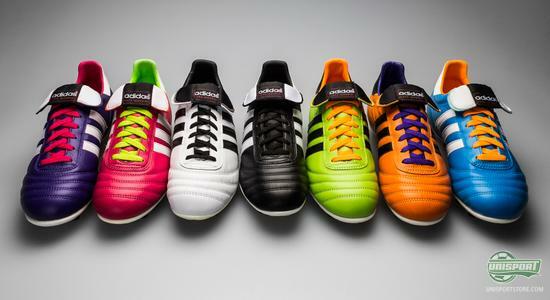 Classic is however not a word that can be used to describe the new Samba colourways of the Copa Mundial football boot. There are now no less than seven different colourways to choose from. 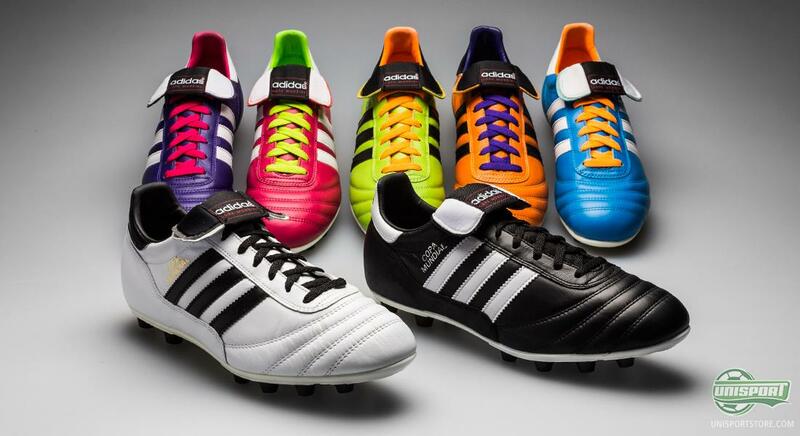 The five new colours from the Samba Pack will definitely cause a few raised eyebrows, but on the other hand plenty will be thrilled that this icon of a football boot, is now getting the attention it deserves. Do you prefer the original colourway? Not a bother  make it yours for just 117. 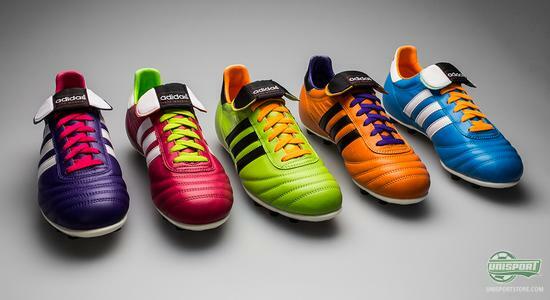 The Samba colours are a part of Adidas build up to the forthcoming World Cup in Brazil. Here you have to say that Adidas have really hit the nail on the head, because when looking at the five colourways you really feel yourself drawn to the carnival filled streets of Rio de Janeiro. 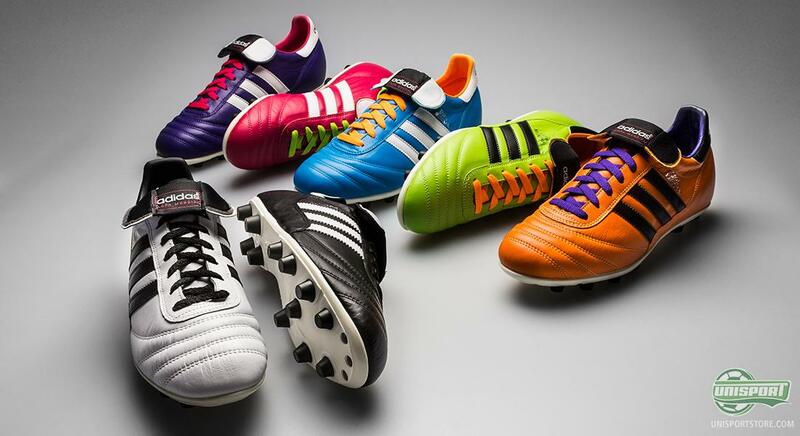 Do you like a different football boot? - Then the Copa Mundial in the pink/white colourway is just your thing  and at just 180, who could possibly resist? The colours have changed, but the football boot itself has not. The Adidas Copa Mundial football is in all seven colourways made of sensational kangaroo leather, which makes for comfort that truly leaves you running out of superlatives. The heel has added support, to give stability second to none. If you miss the summer, then you can spark up your January with a pair of Copa Mundial Neon/Black.  Just 180. The boots sole is equipped with twelve round studs, which make turning and sudden changes of direction very comfortable. A Copa Mundial in purple/white is at the same time both toned down and lively. You can get your pair today, for just 180. A classic has been given a brand new look. 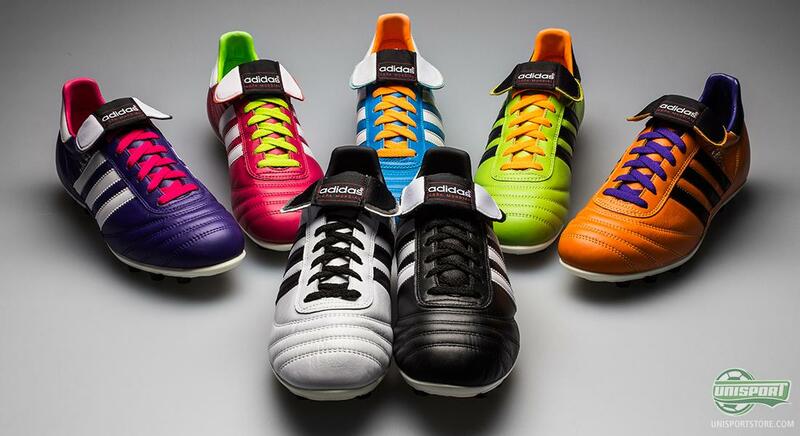 What do you think about the new Copa Mundial colourways? Do you still prefer the classic black and white? Share your opinion with us in the comment-section below, or on Facebook and Twitter.